I’ve made the majority of my visits to European battlefields in either the fall or winter when the weather is often not the best. Rain and mud are a default setting on these trips and getting good light for photography can be a challenge too far. It was snowing in September when I was in Italy last year, but the Dolomites get that sort of weather and it helped to underline the arduous nature of the battlefield Italian and Austrian troops fought over. 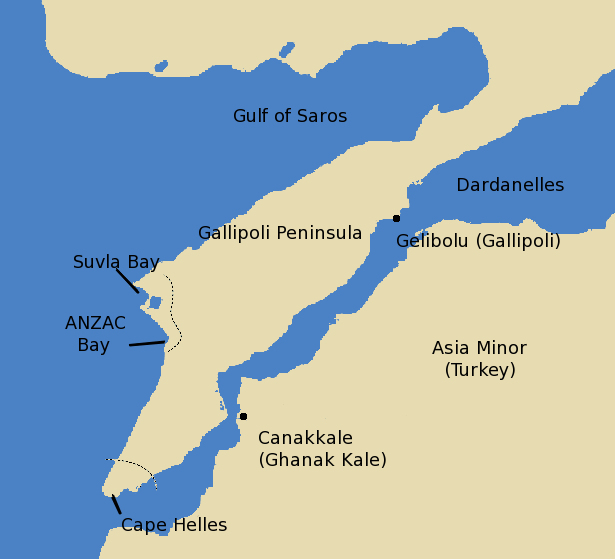 The Gallipoli battlefield in Turkey is a total contrast. The heat is remorseless and the landscape is beautiful but unforgiving. There are plenty of things that bite and sting and even more to trip over or slip on. The walking route always seems to take you up rather than down and kit gets ripped, broken or lost. After a hard day slogging around putting on a real sweat it is a relief to get back to base for a shower and a cold beer before dinner. Bloody tourists! What do they know? Imagine having to live and fight in such a place. The Gallipoli campaign has had its champions over the years who love an ‘if only’ and talk of near run things, but there are enough excellent books around now to kick that nonsense into touch. It was a badly implemented ridiculous plan that is pinned forever to the reputation of Winston Churchill for dreaming it up from his armchair. The British generals Hamilton and Stopford are damned for making such a pig’s ear of it. There is so much myth and fiction attached to the campaign that some people in Australasia don’t even realise British and French forces were even there. Others think all the Brits did was to sit around drinking tea; ignoring the inconvenient truth the hallowed brew needs water and there was never enough of it brought in from Egypt. 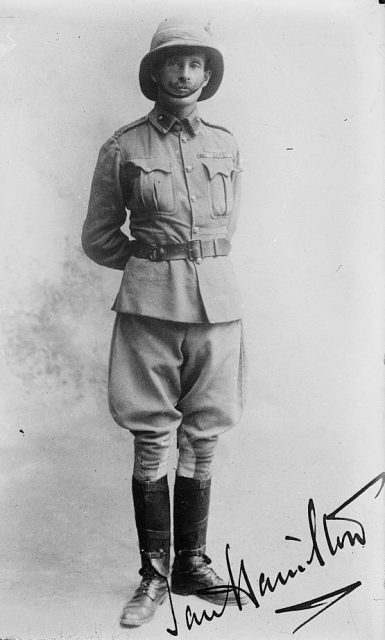 General Hamilton in a formal pose (1910). 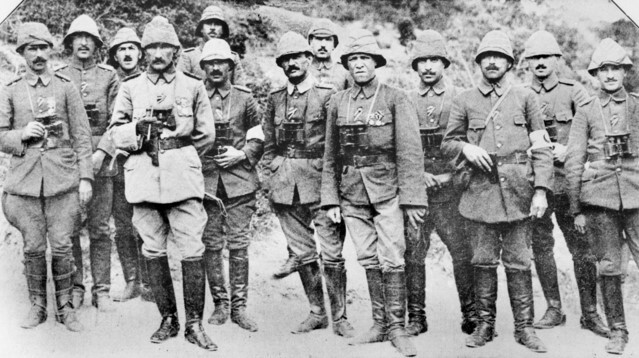 Histories have tended to ignore the chief deciding factor of the campaign’s failure – the defending Turks who were magnificent. The modern state may be causing a few ripples but make no mistake the men who defended their country from allied invasion in 1915 were lions who quite rightly fought to the death to protect their homeland. How much more can any nation ask of it’s soldiery? 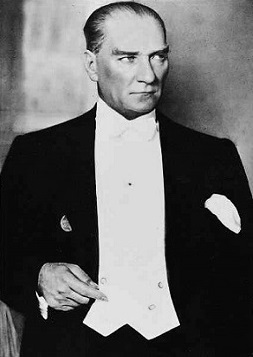 The great hero from this is Mustafa Kemal, better known as Kemal Ataturk, one of the most exceptional men of the 20th century. Amid the post war chaos when the maps of Europe and the near East were changing it was Kemal who showed magnanimity towards his former enemies and this helps explain why there are fine monuments and cemeteries for the invaders on Turkish soil when other nations would have swept the stain away. 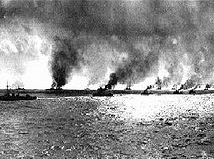 The result is to make Gallipoli a very special battlefield. This book by Simon Doughty and James Kerr is a sumptuous affair produced with considerable style and imagination. The text and photographs complement each other in every sense and the overall effect is an easy on the eye and yet melancholy experience. Many of the images are taken in a gloomy light that offers a brooding view of the killing grounds of Anzac, Suvla and Krithia. I am really impressed by the broad coverage of the battlefield and much of the details. This isn’t a guidebook but it would definitely work as the basis for any trip you care to plan. 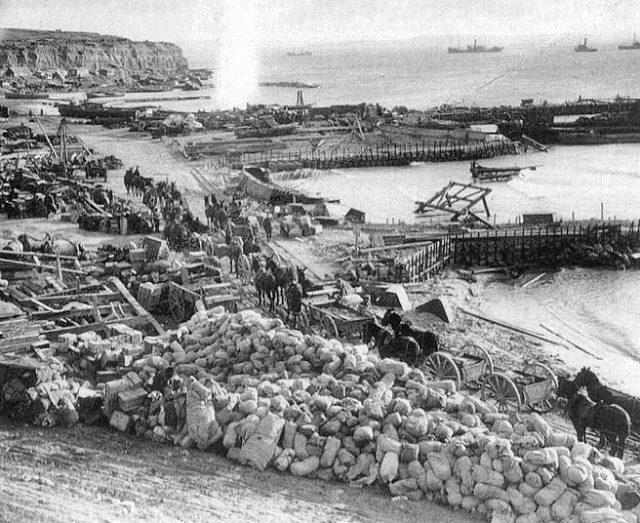 View of Anzac Cove shortly after the landing. I was encouraged to see I had elected to take some of my photographs from similar positions as Mr. Kerr. Some are obvious when you stand there but I’m glad I have my lateral view of things that makes me find something different. It isn’t a competition and I delight in seeing the perspectives of fellow travelers. This book offers a great many pleasing images of a remarkable battlefield and I am awash with nostalgia for a fantastic week spent there. Each day ended with a few litres of Efes Pilsener before chasing down a dinner of kebabs or fish and the camaraderie within our group led to further adventures at Verdun and in Italy. 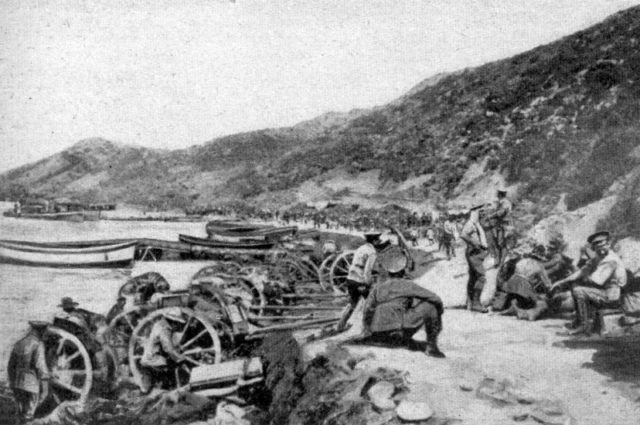 There are vestiges of the war everywhere on the Dardanelles peninsular – shrapnel balls, shards of shells, the occasional spent bullet or button, brass cases and bones. It is the latter that cause the greatest impact on emotions because although the majority I saw were undoubtedly from animals, there were one or two, here and there, that were most definitely human. The dead are all around you and this book reflects the fact with quiet reverence. 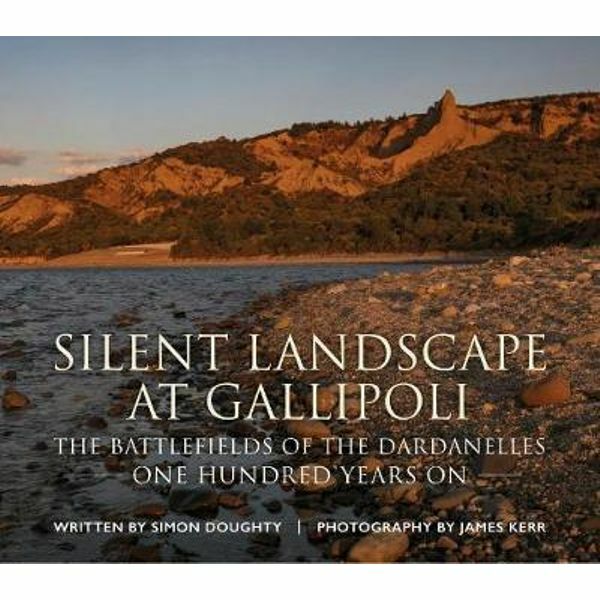 This is a lovely book that should do a service to anyone who cannot get to Gallipoli, but if you can you most definitely should. At Suvla there is a sunken Beetle lighter the British used as a landing craft. My grandfather crewed them there in 1915 and I like to think he may even have walked on the vessel left behind. 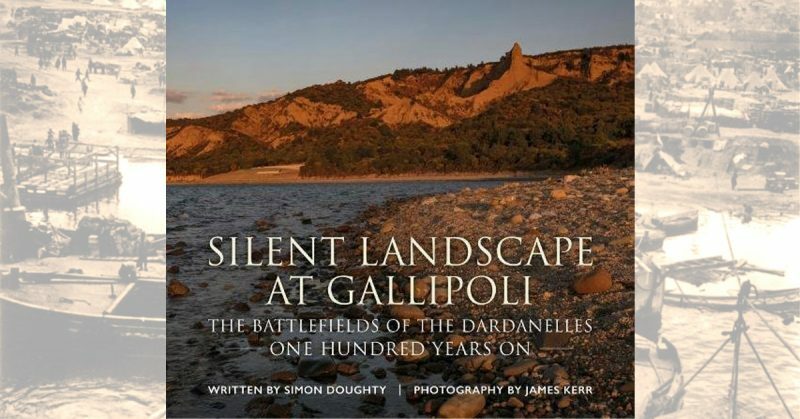 Things like this add a personal connection but the Gallipoli battlefield does this whether we had descendants there are not. Without doubt it is a beautiful place infused with a spirit I haven’t felt in Flanders or Picardy but I don’t want to get mired in daft mysticism over it. The history is too violent and way too tragic for that. This superb book will set you on the path of discovery that may even lead to a few cold beers overlooking the Narrows and that is a very nice thought indeed.